OMG Posters! 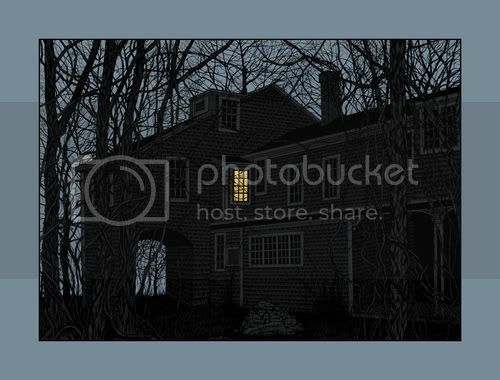 » Archive New Dan McCarthy Art Print: "the house of Edward Gorey" - OMG Posters! Dan McCarthy continues his art print dominance this month with another stunner. “the house of Edward Gorey” is a 19″ x 25″ screenprint, (probably) has an edition of 600, and is $40. Grab one at DanMcCarthy.org. whoa, peanut butter AND chocolate? awesome. isn’t this like dan’s 3rd or 4th print with a house with one light on? it’s cool, just sayin. Like it, but, it looks so real, I want it to be my house instead… and since it’s not, I didn’t buy. Weird huh?